You can also make a donation by participating in a United Way Write-In Campaign. Save Babies Through Screening Foundation qualifies for the United Way write-in option because it is a 501(c)(3) non-profit. The United Way provides a way for charities to be funded by contributions through payroll deductions. 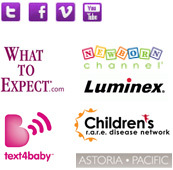 Because Save Babies Through Screening Foundation is a national organization, our name is often not listed in the charities of local United Way chapters. However, most chapters allow individuals to write in the charity of their choice. To initiate a workplace write-in campaign, contact your company's United Way chairperson and ask if there is a write-in option. If there is, ask for permission to inform other employees about the Save Babies Through Screening Foundation Write-in Campaign. Most co-workers are eager to donate to a cause that is personally tied to a colleague. If your company United Way chairperson has any questions, please call us toll-free at 1-888-454-3383. 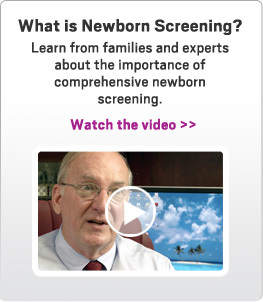 Newborn screening saves babies, one foot at a time. Website design by Pegi Goodman & Development by Lithyem Industries, Inc.